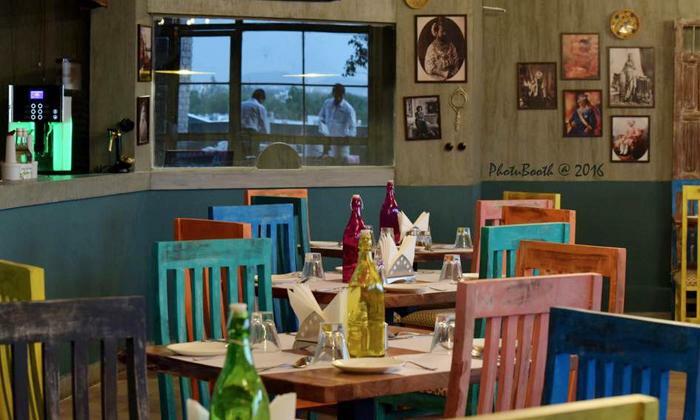 Pink Moustache is a rustic, quirky cafe located in Bais Godam that serves a variety of North Indian and Chinese dishes along with cafe items to feast on as you catch up with your friends. Thee rooftop cafe offers picturesque views of the city and features a soothing relaxing vibe, perfect for long conversations with friends or loved ones. The staff offers offers warm and friendly service that is speedy and efficient.